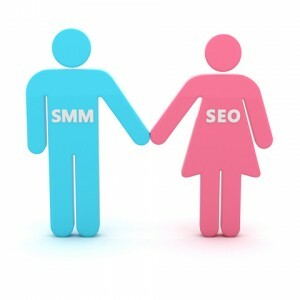 Love, Relationships and SEO was originally published on BruceClay.com, home of expert search engine optimization tips. Even though it’s past Valentine’s Day, love is still in the air with “The Love Edition” of our SEO Newsletter. This month, we speak with author and consultant Rob Garner, formerly of iCrossing, on the search and social love connection. We also dive into the importance of having a marketing mindset to enhance your keyword research. And as always, we bring you news and hot topics from the tech and search industry so you can stay in the know. What will businesses lose by keeping SEO and social media marketing separate? For organizations that currently have separate search and social marketing departments, how can the merge be best transitioned? 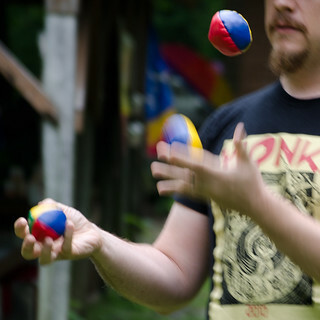 Are there missed opportunities for marketing and visibility where search and social meet? Do you have advice for integrating and leveraging search and social with other marketing channels? How can a business discover the right synergies to boost their current marketing efforts? It’s impossible to give one-size-fits-all advice on this issue, but what signs should a business look for when deciding which social channels to invest in? Is the search and social manager excellent at all areas or is a team with members for each specialty? What do you think the hybrid search-and-social professional looks like for the average small to mid-size business? Do you think all businesses today need to develop a brand personality to be successful? Can you explain more about social relevancy and how to calculate it and optimize for it? Tune into this month’s feature on search and social for Rob Garner’s take on these questions. Each marketer has a special relationship with his or her keyword research – what tools they use, how they select and target the keywords and so on. In this article for February’s Back to Basics piece, yours truly dives into how to approach keyword research with a more traditional marketing mindset to enhance the outcome. Have the right conversations about the business so you can expand on the keyword research. Know where the business is headed and how it will affect your keywords and SEO campaigns. Understand the organization and its offerings thoroughly so you know the proper usage of keywords and best course of action for content. Don’t have time to keep up on everything that’s going on in the industry? That’s OK, each month we bring you hand-picked news from tech and search to keep you entertained and informed. 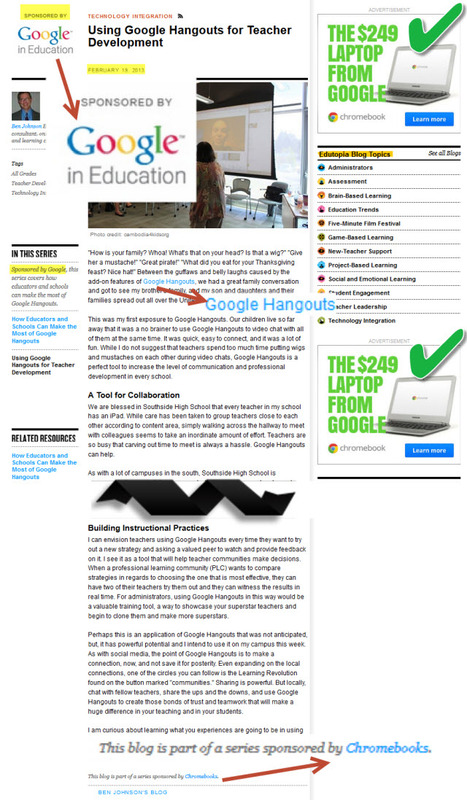 Check out all the happenings in our news section embedded in the cover of the SEO Newsletter here. Part of the reason Yahoo! & Bing struggle to gain marketshare is Google’s default search placement payments to Mozilla and Apple. If the associated browsers have nearly 1/3 the market & Chrome is another 1/3 of the market then it requires Yahoo! or Bing to be vastly better than Google to break the Google habit + default search placement purchases. half of those billions of queries it handles comes from Google partners, rather than searches at Google directly. Arora also said that he expects about 50% of advertising to move online in the next three to five years. he just said ad team looks at ways to make ads not look like ads. I think he meant that positively, like content you want. A friend sent me a screenshot where he was surprised how similar the results looked between Bing & Google. If Bing looks too different it feels out of place, if it looks to similar it doesn’t feel memorable. And if Google is optimized for revenue generation then Bing is going to have a fairly similar look & feel to their results if they want to earn enough to bid on partnerships. Another factor helping Google maintain their dominance in search marketshare is the shift of search query mix to mobile, where Google has a 95.8% marketshare. Mobile search has a significantly higher CTR than desktop search, due in large part to there being less screen real estate. By the end of this year tablets will likely account for 20% of Google’s search ad clicks & drive $ 5 billion in ad revenues. Add in mobile phones with tablets & mobile search will drive 1/3 of paid search clicks by the end of this year. With mobile becoming such a huge share of search clicks Google is forcing advertisers into buying all platforms with their ad purchase via their enhanced AdWords campaigns. Google builds off that sort of dominance & Yahoo! is only making about $ 125 million a year in total revenue from Yahoo!’s mobile traffic. 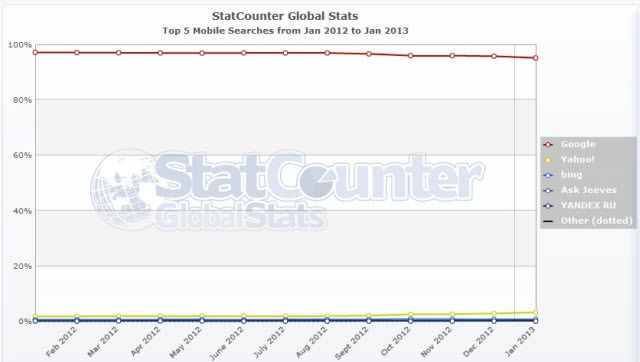 In spite of losing share on browser defaults & mobile, Yahoo! managed to grow their search ad clicks 11% year over year. How was Yahoo! able to do that? In part by quietly dialing up on search arbitrage. They have long had a “trending now” box on their homepage, but over the past year they have dialed up on ads in their news, finance & sports sections that are linked to search queries. 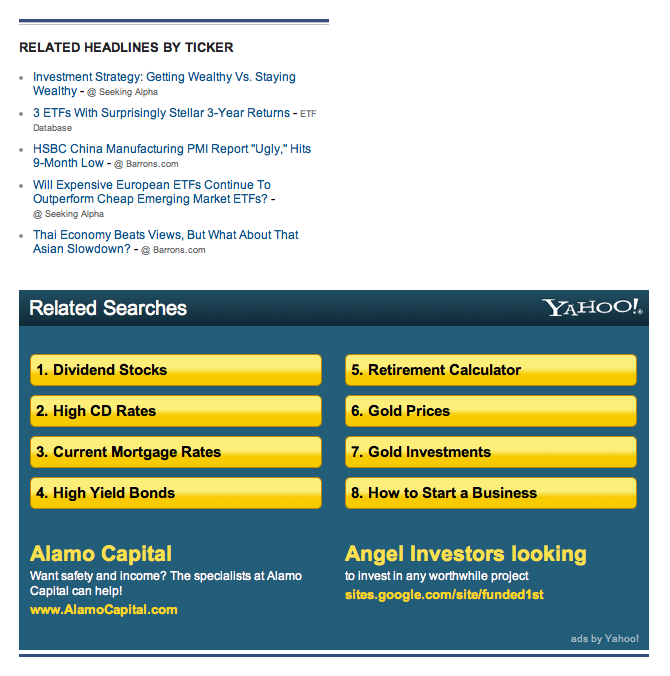 Some of these ad units are in the sidebar & some are inline with the articles. Yahoo! also buys ads on some smaller ad networks & sends those through to a search result with almost no organic results. Yahoo! has had a long history of search arbitrage, but they typically did it through a partner network which lowered click value. That was part of what lowered their click prices & made them sign the deal with Microsoft (you couldn’t even opt out of Yahoo!’s partner syndication until after they signed the deal with Microsoft). I recently saw the above ad for Bing which highlighted how they want to work with brands, but Bing still has a number of issues they are dealing with on the monetization front: tighter broad matching, smaller ad ecosystem, regional issues with ad targeting, and no serious effort to develop a contextual ad program open to the long tail of publishers. In spite of those issues, the Yahoo! / Bing ad network was finally starting to build a critical mass & Yahoo! responded by signing a deal to carry Google’s contextual AdSense ads. As Google continues to layer contextual search layers into mobile devices, launch their own physical stores, layer their social network into the search ecosystem, expand their venture investments, inserts themselves at an ISP level, shape the news, control a greater share of ad budget with programmatic bidding, control measurements of success, redefine words, scrape-n-displace publishers with the knowledge graph, de-fund competitors, & hyper-target ads at users, their leverage & market dominance will only grow. Google is great at growing the search pie. Finding a decent SEO is hard work, and the recommendations you get for selecting your perfect fit will vary as much as the people providing them. Whether you're looking for a consultant or an agency, you don't need to feel alone in your search! In this week's Whiteboard Friday, Rand walks you through his tips for finding an SEO that will be the cheese to your macaroni. Do you have any other tips you've used to find an SEO that we haven't covered? Leave them in the comments below! "Howdy SEOmoz fans, and welcome to another edition of Whiteboard Friday. This week I wanted to actually take a question from one of our users in the community and that question was: "How do I find a good SEO?" They were hoping I would do a Whiteboard Friday on it. So here it is. I recommend a lot of things when people ask me for SEO assistance, consultants, agencies, that kind of thing, and I do it all the time. But I have a benefit of being in the industry for a long time and knowing a lot of people and usually knowing pretty well the people that I'm talking to or asking them a few questions to get those probing, in-depth answers that can let me know who I should recommend them to. This process is not particularly scalable, and certainly I can't have everyone just emailing me and ask. So please everyone who needs an SEO, don't email and ask me. But if you're looking for somebody, I would recommend a process similar to this. I would start with your network, meaning check out LinkedIn, check out people that you might know on Twitter and Facebook who have SEO or have SEO experience in their profile. You could even post something on these sites saying, "Hey, does anyone have someone that they'd strongly recommend?" I'm not saying that you go directly from this process to hiring someone, just that you can start with it, any of the web communities where you participate, your friends and family, business colleagues. Even local meet-ups, if you see that there is an SEO meet-up in your area, that might not be a terrible idea to actually go, meet some people, get friendly, especially if you find some folks in that community who don't necessarily offer SEO services – maybe they are in-house SEOs, they work for software companies, those kinds of things – but they will often have very good recommendations about who'd they suggest that you use. That's a great process, find sort of a neutral third party whose only interest is in helping you, but who knows the field well. That's what I'd be looking for here, more so than a direct consultant right away. 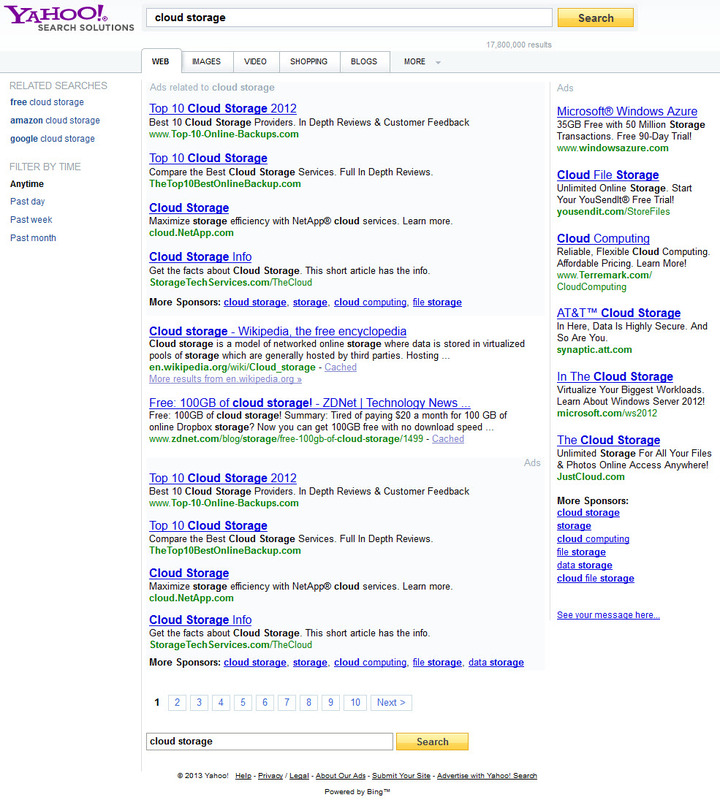 Second thing, check out SEOs on the major marketing communities. If you don't have anyone in your network, you might try going to places like SEO blogs. I think SEO.alltop.com actually has a very good list of sort of all the popular and major sites in SEO, blogs in SEO. The SEOmoz Q&A certainly is a great place. This is actually one of my favorite features of Q&A now. There have been lots of people who have found their consultants and lots of consultants who have gotten work through Q&A. So I love that. Quora is actually a good place to participate. You can see lots of people both asking and answering SEO questions there. I think the people who tend to give really good answers on Quora also tend to be pretty darn good folks. I see Ian Lurie, for example, from Portent Interactive, which is a great company here in Seattle, giving a lot of good answers there. Some of those SEO forums, as well, if you see someone who not only the content of their answers, but the style of those answers. They are not reflexive or offensive. They don't get into arguments all the time. They're very open. They're empathetic. That's great. When you find people in these types of communities, that can be a good resource. Again, don't just think to yourself, "Oh, well they don't do consulting, or they're out of my price range." That can be a good thing. You can reach out to them and get a recommendation. These are the kind of people you want to find to get that recommendation. Next, I want you to build a smart consideration set of the traits that matter to you, and this is certainly not exhaustive, these six, but these are traits that a lot of people have. So that could be I want someone who is very experienced, or I want someone who is relatively early in their career. I want someone whose background is they've been to college before, they've worked for several agencies, or I'm looking for an agency that has the background of having worked with several people in my field, or the opposite. A lot of times when they're seeking SEO consultants, they want someone who has no conflicting clients who are also in that field so that the links they build, the content they build, that work will all be for them exclusively and it won't be partnered out to several different folks. Geography and location can matter a lot. I would be cautious about thinking about this one. Just because someone is not in your geography doesn't mean that you necessarily can't get together with them in person. If they're willing to fly out to your location or those kinds of things, I would still put them in your consideration set. I think that at least one or two meetings in person is a great thing if you can accomplish it. But geography tends not to be super important for doing SEO kinds of work, other than being able to connect up in person and sort of shake each other's hand and that sort of thing. The agency consultancy size. Maybe you're looking for a one man operation or one woman operation. Maybe you're looking for a large agency that's inside a broader ad firm so they can serve lots of needs, that kind of thing. Price, obviously, is a consideration for a lot of people. And timing and availability. Can they start their work right now? How many people do they have available? All those kinds of things. You should add other things in this consideration set that matter to you. So, for example, values of the person might be really important. It might be very important to you that the person fits some particular criteria around what they've accomplished in the past or that they're very focused, they have a lot of skills on the content side as opposed to the linking side, or on the technical SEO side and the HTML and development side versus social media side. Whatever it is that matters to you, make sure to put that in your consideration set and consider people equally as you look through there. 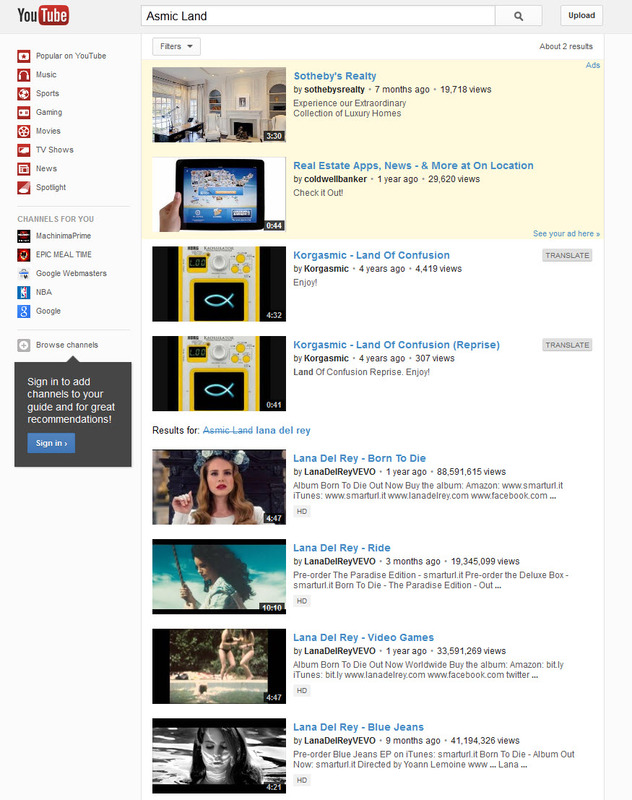 Then I'd go and I'd create a short list of SEOs from the recommendations that you got. I would also do it, even if you're sure, absolutely 100% sure. You're like "You know what? This is the person for me. I just know that they're going to be the right one." At least talk to a couple of others. The perspectives that you'll get and the process of that interview is going to be very, very useful for you going forward and judging the work. You could find maybe you had your heart set on this person, but they turned out not to be right, and there was some reason. Just go through this process of at least vetting a couple of vendors. So I would ask them some things like some project specific questions, related to specifically what we're trying to accomplish here at our company and the rankings we're trying to achieve, the visibility we're trying to get, the people we're trying to draw in, the intent of the marketing that we're doing. Great, ask them project specific questions, but also ask them generic SEO knowledge questions. There is actually a great resource that Joel linked to in the blog post of sort of a ten question litmus test that I wrote for professional SEOs a couple years ago now, but I think can still be quite valuable. Get a reference or three, but be very careful in the references that you get. This is my experience, time and again, when reference checking vendors. You ask for a reference upfront, and you get people who they know will give a good reference. So really all you're saying is, "Do you have two or three people who will always say nice things about you?" That's not really a great reference check. This is what I would do. When you start talking to them, don't ask for references. Ask, "What companies have you worked with? Who have been some of your clients over time?" Make sure to write down that list, and you can prompt them. If they give you a couple, you can say, "Oh, are there any others? Did you work with anyone in travel, anyone with a big site?" Whatever the criteria you have. Then write those all down and go back to LinkedIn or your personal network, see if you know people at those companies. Reach out to them independent of getting the reference and ask, "Hey, did you work with so and so? Were you happy with that experience?" Going that direct route is much better. Then, I'll add this important caveat, very important caveat, which it's okay to get a couple of references that are not great. It really is. If you get one good reference from them and one of the people that you go back through your network says really good things about them, and you like them, and one other person that you've gone through your network says, "Ah, we were not happy," that's okay. It's okay to have a couple of people. There is no way that you're going to do SEO consulting or agency work, any kind of consulting or agency work or services work and not have a few unhappy people in the past. I think that 100% happiness ratio is extremely rare, and even if they were happy at the time, oftentimes people become dissatisfied over time with things, and that could be not the agency's fault, the consultant's fault. So I wouldn't dismiss these, but I would consider them very carefully, balance them on the whole, and make sure that you know all the things that are going on. Oftentimes, in any type of a services organization, it's not one person's fault or always the agency or the service provider's fault. Oftentimes, fault lies somewhere in between the company and the agency. Then I would check out some online contributions too, places where they've contributed – blogs, social media, comments, those types of things. It tends to be the case that if you have people from the consultancy or the agency who've done stuff on the web that you can observe, you're seeing them in a little bit more of their natural setting, and you can see what I would call kind of behind the curtain of the polish that they present to you directly. That can be extremely valuable. So I love looking at sort of oh, I met someone at a conference and I thought they did a good job speaking, let go me check out some of their other presentations. Then I'll check out some of the stuff that they've done online. Boy, I get the sense that this person is kind of mean and rude on the Internet. I'm not sure that they're actually a match. That kind of information can be really interesting and really useful to you. You'll also get a sense for how knowledgeable they are. They can seem very knowledgeable in person, and then you go on the web and you sort of get this sense of, oh, actually this person seems to be giving bad advice or asking questions that don't seem like they know what they're doing. Unfortunately, because the SEO field is so easy to enter, you do have a lot of folks who just got started in the industry, maybe are looking for their first clients still, or folks who have been operating who may not necessarily be SEO experts, maybe they're great at other parts of web agency work but not SEO. Finally, my last piece of advice on this process, be very careful about choosing exclusively on price or experience. Now, price is an obvious one. You sort of go, "Yeah. I'll get what I pay for and choosing the lowest price vendor might not be a great idea," and those kind of things. That's true. But experience is a dangerous one also. I see a lot of folks saying, "Ah, you worked with our big competitor," or "You worked with someone else in the field that we respect and admire, therefore, we're picking you." We lose track of all the other important traits and criteria. Just be cautious about that. I think that there is something to, whether you're hiring someone onto your team, we do a lot of hiring here, and one of the things that I see is relevant experience does not always trump sort of that excited newcomer. As long as they have the chops to do the work, sometimes that passion and that lack of experience can actually open up a lot of opportunity for you. So be careful about choosing on those alone, and hopefully this process will work for you. I would love if you're an agency or a consultant or someone who has found SEOs in the past and you have additional things that you'd like to add to a process like this, please include them in the comments below. I would love to see those. All right. Thanks everyone. Take care. We'll see you again next week for another edition of Whiteboard Friday." What’s Your Business’s One Key Metric? What’s Your Business’s One Key Metric? was originally published on BruceClay.com, home of expert search engine optimization tips. Allow me to make a suggestion for all of us juggling metrics and data diving. Before you do anything else, figure out what your business’s one key metric is. c) contribute to misleading metrics, whether intentionally or not. Using the one key metric model is going to give you results, while chasing B.S. metrics doesn’t reveal meaningful insight into user behavior and preferences. “[C]ompanies should start by tracking a single actionable metric that they can literally bet the company on. I call this their One Key Metric (OKM). Companies choosing their OKM realize they must pick an actionable metric because pageviews or sign ups aren’t harsh enough and don’t correlate highly enough with the success of their business. As we build upon our projects and the knowledge that informs our marketing efforts, it can pay to take a moment to check in with our most basic business goals. Build upon a foundation of key performance indicators that are focused and results-driven. With this solid starting place, your marketing efforts grow with purposeful direction and deep understanding. So, what’s your OKM? Turns Out, Google Is a Dude was originally published on BruceClay.com, home of expert search engine optimization tips. Google has crossed over to theatrical arts. 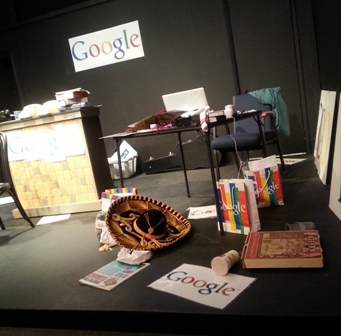 Over the weekend, I caught a one-man show led by Craig Ricci Shaynak in Los Angeles at Theatre Asylum called: “I Am Google.” And this time, Google wasn’t just a search engine; Google was a dude in a bachelor pad. With a cool mix of improv, performance and audience participation, this show had everything from Google’s nerdy counterpart, Bing, to his ex-girlfriend Twitter and his crush on Siri. Without giving too much away, I’ll let you in on a little of the fun. Upon entering the theater, you see Google hard at work answering a multitude of calls from telephones reminiscent of the 80s, while frantically looking up answers in the dictionary and sometimes phoning a friend “Wikipedia” when he wasn’t quite sure what the answer was (although Wiki proved to rarely be right). And at the end of the call, he’d always report how long the search took. Craig Shaynak of “I Am Google.” Photo courtesy of Shaynak’s Google Plus profile. Google confessed his innermost thoughts to us that night, from the fact that everyone thinks he’s so smart, but he’s really just organizing information that’s already there from sources like books — sources, he infers in so many words, that we could all use if we weren’t so lazy. He talked about his breakup with Twitter who just didn’t think he was “funny” anymore. And he defended himself by reminding us about the “tilt” search and the directions Maps gives us for getting across the ocean to Japan. Then he complained about all the hashtags Twitter left in the apartment when she moved out. And every once in a while, he’d dress up in a costume and serve us up an ad from Crate & Barrel or Uggs or something no one in the audience wanted. And mid-sentence, every few minutes, he’d change the sign around his neck to reflect a new Google Doodle. In the end, he gave us some food for thought. He suggested we don’t need to find the answers to everything that pops into our head the moment we think about it. And that most of the searches we perform are based on useless information anyway. The stage at “I Am Google.” Photo taken by Jessica Lee. He challenged us to go “70s style” and make a date with a friend without the use of any technology … just tell them where to meet you and show up at the time you said you were going to. That’s a novel idea, eh? We had a great time at the show that night, and turns out, Shaynak is refining his act over several more shows before he performs in front of Google. I talked with him after the show about slipping in some SEO stuff like Panda and Penguin, so we’ll see if those makes the cut. Shaynak welcomes SEOs, digital marketers and Web developers to come see his show; the technical stuff they throw at him during the act proves to be a hilarious basis for his improv. So if you’re in the LA area (or inquire for details on what I think they said was a traveling act), check out “I Am Google.” You’ll enjoy it. Fresh and Sizzling at Applebee’s: Social Media Reputation Management was originally published on BruceClay.com, home of expert search engine optimization tips. An Applebee’s customer, Alois Bell, rejected the automatic 18% tip for a large party, opting instead to leave a snarky comment with a religious allusion. Update: In an interview with Alois after the controversy broke, she says her group left the 18% tip in cash on the table. An Applebee’s employee named Chelsea Welch – not the server of this delightful customer – posted the customer’s note to Reddit’s atheist section. Reddit had a grand time making fun of the customer and her religious affiliations. Welch was fired by Applebee’s for breaking rules regarding customer privacy. Applebee’s issued an apology for the incident on Facebook. Across social media networks, outrage rang out over Welch’s firing. Applebee’s defended their position in a middle-of-the-night Facebook posting and tens of thousands of comments accumulated. Nearly all comments are negative, and many point to a failure in using Facebook and social media for public relations and customer communications. Mentions of Applebee’s on Twitter focus on the customer tipping scandal that rocked the company’s social media profile this week. Don’t tell Chelsea Welch they’re hiring because they let her go after she posted customer info on Reddit. I think Applebee’s is being crucified for reasons beyond the incident that went down in a St. Louis restaurant on January 25. To start, it’s my feeling that Reddit can get pretty uppity. Any action taken against Welch would have been met with righteous indignation regardless of Applebee’s reasoning. The social media community had elevated itself to a mob and would have attacked any argument — and this attack mentality spread to Facebook and Twitter. At this point it was Applebee’s against the haters across the Web. Based on the facts we have, Applebee’s acted well within appropriate boundaries in letting the employee go and in its initial explanations and apologies about the situation on Facebook. These are all judgment calls in my mind, with no clear right or wrong without the aid of hindsight. 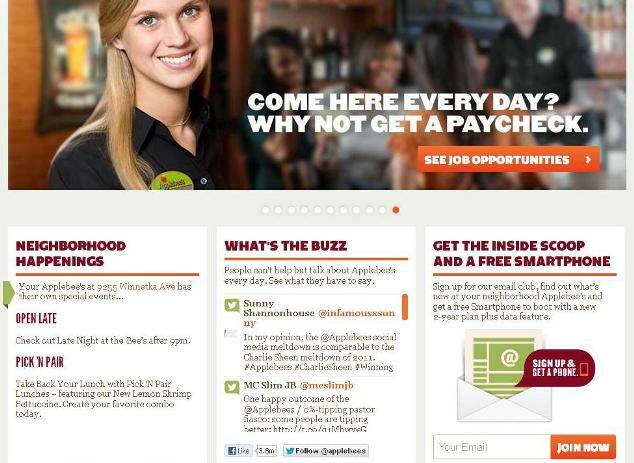 If Applebee’s had a social media crisis response plan, could this nightmare have been avoided? It just so happens that two years ago, Jessica interviewed Applebee’s then-social media director Scott Gulbransen about the company’s social media policy. When he talked to BCI in 2010, he explained the current state of Applebee’s social media strategy as “evolving” with “a ways to go.” What he described was a corporate social communications department that was trusted by company leadership to interact and engage online. He explained, “We’re in the process of getting more folks in cross-functional roles trained to respond and participate appropriately in social channels with our guests and employees out the in field.” In that level of development, after a year with Applebee’s odds are good he established crisis response guidelines, or at least equipped his predecessors with the needed ideas and background to act appropriately in a critical situation. He called the company’s voice “real, authentic and transparent,” and as comfortable making jokes as “pointed remarks.” To that point he said, “[W]hen people Tweet at us or post on our Facebook page comments or content that is pushing the limits, we don’t mind calling them on it.” If a brand isn’t “real” in social media, they aren’t worth listening to. If a brand is stiff and always agreeable, people have no reasons to connect. So when I hear people arguing that in this instance Applebee’s demonstrated failure in a high-pressure social media situation, I’m wondering if what they expected Applebee’s do is roll over and take a flogging. That’s not a brand I can relate to. Applebee’s established its corporate voice as one who calls out people who push the limits, and as both a social media marketing professional and a social media user, I respect that. Now add to that, with the facts we have, I don’t think Applebee’s acted out of turn in terminating employment of a staff member who posted a customer’s personal information for the purpose of mocking on the Internet, and you can see how I find Applebee’s in the right on this one. Was their room for improvement? Sure. Lessons I’ve taken from this are to create a plan of defense before saying anything. It could cover how to respond to individual comments, or if that should be done at all. And a pre-planned blueprint would probably rule out posting at 3 am, an unsacred hour when late-night trolls are just waiting for something to dig their teeth into. Other than that, Applebee’s should keep calm and carry on. Although tens of thousands of people hated on Applebee’s online this week, how many of them do you think are Applebee’s diners who will now boycott their normal happy hour spot? …See you tomorrow, Applebee’s. How’s It Going, Facebook? 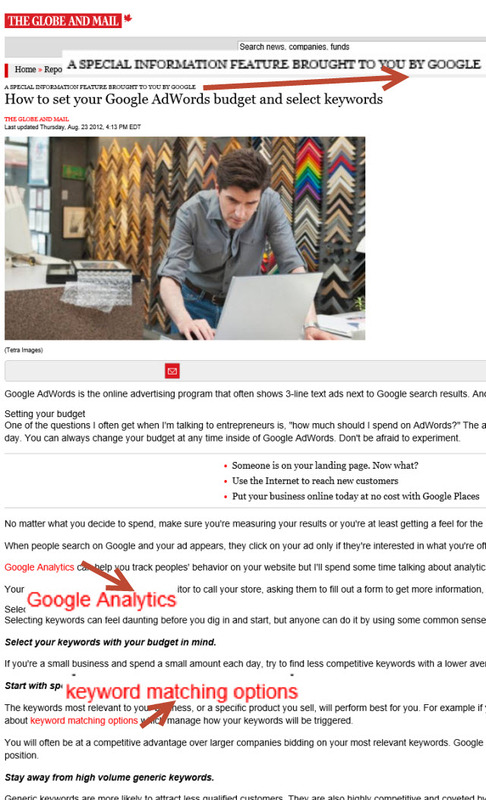 Feature Updates to Watch For was originally published on BruceClay.com, home of expert search engine optimization tips. Facebook and me are tight. I like how Facebook’s always asking me how I’m doing. No matter what’s going on in my life, I know Facebook is happy to hear from me. It’s pretty impressive Facebook can always make the time considering how much it’s got going on. Lately the service has been really busy adding new features to its social platform, so I wanted to take a minute to get an update from the ultimate update sharing service. Facebook Graph Search is still in beta, and is sure to morph before it becomes the community pillar Zuckerberg suggests in the intro video for Graph Search. But if you haven’t signed up for the beta yet, don’t delay. You’ll want to be able to play inside when the doors open to you. Before Graph Search is out of beta we can expect to see changes to address privacy concerns. And I expect some people will scrub some of the humor out of their profiles when Graph Search is open to the public — unless you like being found in the graph of “married people who like prostitutes” (see Actual Facebook Graph Searches on tumblr). Privacy issues aside, there’s potential for good stuff in Graph Search for marketers. At Facebook’s press event last month, the company illustrated some of the feature’s uses for business, including job recruiting and, of course, advertising. Facebook has had a good reputation among online advertisers for its ability to target user interests with never-before-seen granularity. Facebook Graph is a new way to sort and filter user data. Here are a few ways to mix and match Graph Search filters to reach new customers and find influential contacts — just a few ideas to get you started in a creative direction. As far as Facebook updates, we can’t overlook the space the service is carving for itself in the local-mobile arena. A natural growth direction thanks to the hundreds of millions of users connecting to Facebook from mobile apps, including Apple and Android devices. Read all about the Facebook Nearby feature and how brick-and-mortar businesses should be taking advantage of the review and ratings system to reach new customers through their friends and networks, as shared last week by my colleague in Bruce Clay Australasia. 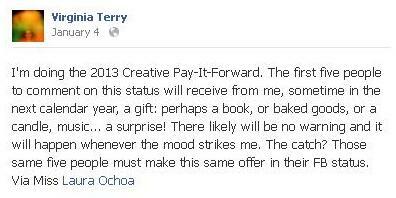 Still in the surge of the giving-season I decided to join the “2013 Creative Pay-It-Forward” game. I’m looking forward to sending surprise, for-no-good-reason gifts to a few of my favorite people. Warm fuzzies ahead! Last Friday Facebook notified me of the birthday of a very special person, and as you may have noticed, that notification comes with the ability to “Send a gift.” A bunch of vendors have hooked up with Facebook, making it easy to send gifts for the home, tasty treats, gift cards, beauty and style products and a lot more for all sorts of occasions. As I was putting together this birthday gift it occurred to me that this makes my gifting game play so easy! Everyone I’m playing with is already on Facebook, after all, and now I don’t have to worry about getting addresses I don’t have from anyone. And there was no response. Anyone else suspicious of self-motivated origins of this supposedly selfless game? What do you think? In the end, no, I don’t really care if Facebook planted the seed for this game in order to spark a new profit stream. But how can you not enjoy the irony in this mystery and the occasion to play conspiracy theorist?